The first few weeks of the new presidential administration have produced a number of surprises in various realms. However, there has been relatively little activity involving the regulatory agencies that deal with employment issues. This is in part due to the absence of a Secretary of Labor. As of the publication date of this article, the Trump administration’s first nominee for Secretary of Labor has withdrawn, and the administration will need to look for another nominee. In the meantime, administrative agencies within the Department of Labor are basically at a standstill as they await instructions from the new Secretary of Labor. With the change in presidential administrations, there was little expectation that the Department of Labor’s Office of Federal Contract Compliance Programs (OFCCP) would take any significant action during the period between the election of Donald Trump and the start of the Trump presidency. Yet, OFCCP produced a number of surprises by filing administrative actions against three major U.S. companies and by settling two compliance reviews with another major U.S. company that included a substantial back pay settlement. 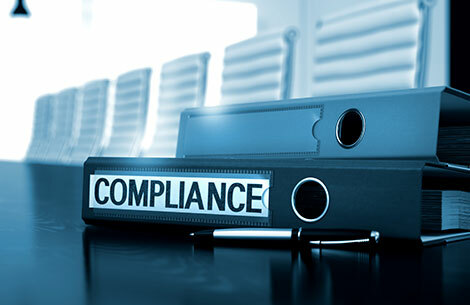 The specific circumstances of these actions by OFCCP may differ, but there are some common threads in regard to these compliance reviews that federal contractors and subcontractors should consider. This article will provide some background on the compliance reviews involving these companies, and will then discuss the common threads growing out of these compliance reviews. Please note that information in this article was derived from press releases issued by OFCCP and from other documents made publically accessible by OFCCP. There may be other facts and circumstances associated with these situations that would provide additional or contrasting perspectives on these compliance reviews. Compliance Review at Google, Inc.
On January 4, 2017, OFCCP published a press release indicating that the agency had filed an administrative complaint with the Office of Administrative Law Judges (OALJ) against Google, Inc. (Google). In its press release, OFCCP stated that it had made a request for Google to submit certain compensation-related data. After Google failed to provide this information, OFCCP filed its administrative complaint, asking that Google be required to provide the requested data and asking for sanctions against Google. Job and salary history, including “starting salary, starting position, starting ‘compa-ratio,’ starting job code, starting job family, starting job level, starting organization, and changes to the foregoing,” as well as names and contact information on employees. that if Google failed to produce the requested information or failed to otherwise comply with the federal affirmative action laws, all of Google’s contracts and subcontracts with the federal government should be cancelled and Google should be prevented from entering into any future contracts or subcontracts with the federal government 2. On January 12, 2017, OFCCP published a press release indicating that the agency had entered into two conciliation agreements with LexisNexis Risk Solutions (LNRS). Following compliance reviews in Boca Raton, Florida and Alpharetta, Georgia, LNRS had agreed to make back pay settlements to female employees based on alleged compensation discrimination at each location. Both settlements are now listed on OFCCP’s website as part of the agency’s class member locator 3. OFCCP’s press release indicated that LNRS has agreed to pay over $1.2 million in back pay and interest to females at these two locations. OFCCP has released both conciliation agreements (CAs) with LNRS on the class member locator portion of the agency’s website. The compliance review at Boca Raton opened in September of 2013. OFCCP issued a notice of violation in April of 2016 alleging compensation discrimination against female employees. A CA was signed by OFCCP and LNRS in January of 2017 in which LNRS agreed to pay 26 affected females more than $270,000 in back pay and interest. LNRS also agreed to make a one-time salary adjustment of more than $45,000 to certain female employees. The compliance review at Alpharetta started in June of 2013. A notice of violation was issued in April of 2016 alleging compensation discrimination against female employees. A CA was signed in January of 2017 in which LNRS agreed to pay 185 affected females in Alpharetta more than $853,000 in back pay and more than $100,000 in interest. Compliance Review at Oracle America Inc.
On January 18, 2017, OFCCP published a press release indicating that the agency had filed an administrative complaint with the OALJ against Oracle America Inc. (Oracle). In its press release, OFCCP stated that it had found systemic discrimination in Oracle’s pay systems that favored white male employees. OFCCP also stated that it had found discrimination in regard to recruitment and hiring that favored Asians over non-Asians. These findings were outgrowths of a compliance review that had occurred at Oracle’s headquarters. The press release stated that OFCCP had decided to file its administrative complaint after Oracle had failed to provide compensation- and hiring-related information. The administrative complaint states that OFCCP sent a scheduling letter to Oracle in September of 2014 that opened a compliance review at Oracle’s headquarters in Redwood Shores, California. During the course of this compliance review, OFCCP found that there were “gross disparities in pay” involving employees in 80 job titles. OFCCP provided statistics showing that in one situation involving 1,207 female employees in product development positions, there were over eight (8) standard deviations between the pay of males and the pay of females, even after controlling for factors such as job title, full-time status, exempt status, global career level, job specialty, estimated prior work experience, and company tenure 4. OFCCP also found almost three (3) standard deviations between the pay of males and females in another group of employees, and more than three (3) standard deviations between the pay of males and females in a third group. OFCCP also found pay disparities involving African American employees and Asian employees in product development positions. While the agency did not provide the total number of employees in these groups who were allegedly affected by Oracle’s pay practices, it did indicate that there were over two (2) standard deviations between the pay of African American employees and the pay of white employees, and over six (6) standard deviations between the pay of Asian employees and white employees. Again, OFCCP stated it had reached these conclusions after controlling for the factors noted above. Along with the pay disparities, OFCCP’s administrative complaint states that the agency found Oracle was engaged in discriminatory recruitment and hiring practices that favored Asian applicants. These alleged discriminatory practices adversely affected African American, Hispanic, and white applicants. OFCCP did not provide specific information in regard to the number of applicants affected or the level of the statistical disparities associated with these recruitment and hiring practices. OFCCP’s administrative complaint states that Oracle refused to produce various records requested by OFCCP. This included prior year compensation data for all employees at the facility under review and complete hiring data for certain positions filled during the period from January 1, 2013, through June 30, 2014. The administrative complaint also states that Oracle refused to produce any material demonstrating that the company had performed an in-depth review of its compensation practices, and refused to produce evidence that it had conducted adverse impact analyses of its hiring practices. Compliance Review at JPMorgan Chase & Co.
On January 18, 2017, OFCCP published a press release indicating that the agency had filed an administrative complaint with the OALJ against JPMorgan Chase & Co. (JPMorgan Chase). In its press release, OFCCP stated that it had found systemic discrimination in JPMorgan Chase’s pay systems after conducting a compliance review of the company’s Investment Bank, Technology & Market Strategies (IB-TMS) unit. The press release stated that females in certain positions were paid less than comparable men in the same positions. The administrative complaint states that OFCCP sent a scheduling letter to JPMorgan Chase’s IB-TMS unit on July 3, 2012. JPMorgan Chase had a functional affirmative action plan agreement with OFCCP, and thus was allowed to prepare affirmative action plans that were based on functional or business units rather than geographic location. The administrative complaint states that JPMorgan Chase had discriminated against at least 93 females in job titles including Application Developer Lead II, Project Manager, and Technology Director by paying them less than comparable males. The complaint states that a compensation disparity existed even after adjusting for “differences in legitimate compensation-determining factors.” The administrative complaint does not list these factors, nor does it provide statistics on the level of disparity found during the agency’s compliance review of IB-TMS. that if JPMorgan Chase failed to produce the relief requested in the administrative complaint, all of JPMorgan Chase’s contracts with the federal government should be cancelled and JPMorgan Chase should be prevented from entering into any future contracts with the federal government. While the four situations described above have their own unique factors and circumstances, they provide significant insights into OFCCP’s current interests and priorities. OFCCP is very focused on finding compensation discrimination: A common thread between these four situations is that all involve compensation investigations by OFCCP. While the administrative complaint involving Google primarily involves a failure to provide records, the records requested were compensation records. The LNRS conciliation agreements and the two remaining administrative complaints both alleged findings of discrimination in compensation. OFCCP was successful in entering into a significant compensation settlement with a federal contractor: OFCCP has been pursuing compensation cases throughout the Obama administration, generally with little results. The conciliation agreements with LNRS are a major victory for OFCCP, both in terms of the number of dollars awarded to alleged victims of discrimination and to the number of persons involved. OFCCP will aggressively pursue situations where federal contractors and subcontractors fail to provide information: The administrative complaints against Google and Oracle were both predicated on the failure by these companies to provide records requested by OFCCP. OFCCP has consistently maintained that it has wide latitude to request information pertinent to a compliance review. In the Google situation, OFCCP has asked for a cancellation of contracts and debarment from future contracting not for an actual finding of discrimination, but for a failure to provide records. OFCCP continues to pursue hiring discrimination: Only the Oracle administrative complaint described allegations of hiring discrimination, but the complaint clearly requested relief for what OFCCP perceived to be discrimination involving recruiting and hiring practices. An interesting side note involves OFCCP’s focus on recruitment practices. Typically, the agency has been focused on discrimination involving selection procedures and decisions, and has only focused on recruitment activities when there was insufficient outreach. In the Oracle administrative complaint, OFCCP explicitly mentions Oracle’s targeted recruitment and referral practices. OFCCP is focused on large organizations: The four companies that were mentioned in OFCCP’s press releases are among the largest organizations in the United States. A review of the information available through the Department of Labor’s data enforcement site suggests that many of the companies that OFCCP targeted during the last few years are similarly large organizations with multiple sites throughout the nation. OFCCP is willing to investigate situations involving technology and technology-related positions: Another common thread involving all four of the situations described above is that they all involved technology positions. While OFCCP has typically had its greatest successes in reviewing companies in traditional industries such as manufacturing and food-processing, these situations suggest that OFCCP may be turning its attention to organizations with a larger number of professional and technical positions. OFCCP is willing to ask for significant sanctions when it finds non-compliance: While it is rare for organizations to have their federal contracts or subcontracts cancelled or to face debarment, OFCCP’s administrative complaints against Google, Oracle, and JPMorgan Chase request these extreme sanctions if the companies refuse to comply with OFCCP’s demands. It is unlikely that these organizations will actually have their contracts voided or that they will be debarred, but OFCCP has taken an aggressive posture in these situations. OFCCP took action before start of the new presidential administration: The conciliation agreement with LNRS and the administrative complaints discussed above were all filed before January 20, 2017, when President Trump was sworn into office. There are several other important considerations for federal contractors and subcontractors in regard to the four situations discussed in this article. First, three of these situations have not been fully resolved. The only compliance reviews discussed above that have been closed are the reviews involving LNRS. Proceedings involving Google, Oracle, and JPMorgan Chase could continue for years before these compliance reviews come to a resolution. Second, a new Secretary of Labor and a new Director of OFCCP may decide to resolve the three open compliance reviews in ways that are fundamentally different than the direction indicated by the administrative complaints. OFCCP may ultimately decide to modify or withdraw its administrative complaints. Even if OFCCP maintains its current positions, the administrative law judge overseeing these complaints may rule against the agency, or the Secretary of Labor may rule against the agency. Finally, the conciliation agreement with LNRS and the administrative complaints provide only OFCCP’s perspective on these situations. LNRS has admitted no wrongdoing in the conciliation agreement it signed, and the administrative complaints against Google, Oracle, and JPMorgan Chase provide no rebuttal or other information from these companies on the merits of the complaints. As we continue to wait for more information on what will happen at OFCCP during a Trump administration, it is worth understanding where OFCCP has focused its attention. The press releases that OFCCP delivered in January provide important insights into where OFCCP has been, and where the agency might continue to be until new leadership is installed.